The wonderful thing about knitting is that you can give a group of knitters the same pattern, and be absolutely certain that each project will turn out entirely different from the next. Take our KAL for example! We provided a pattern, and then you all dug deep into your creative selves, and knit up some truly one-of-a-kind pieces! It was such a joy to see. One pattern that has been knit over and over and OVER again, but never ceases to delight and ‘surprise’ us each time it is re-knit, is Elizabeth Zimmermann’s Baby Surprise Jacket. 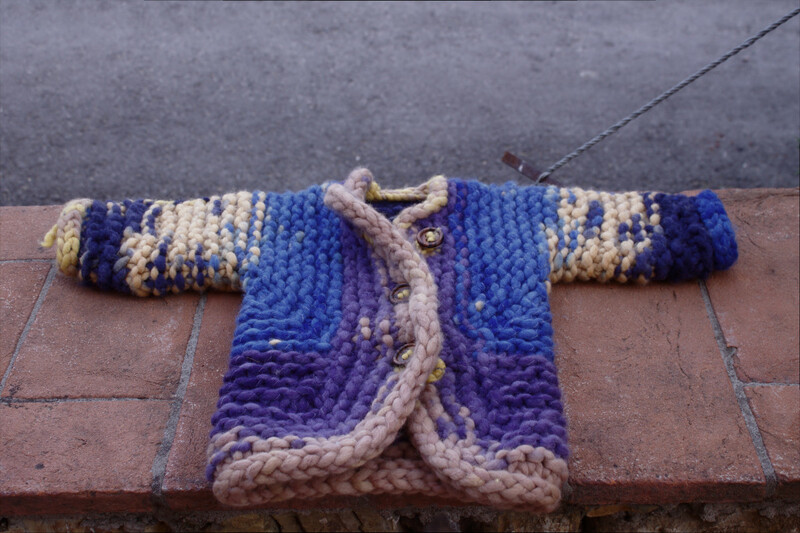 According to the BSJ project page on Ravelry, over 25,000 knitters have made this! And surely, many more will continue to do so in the years to come. This pattern is a classic! Our friend Chiara over at Borgo de Pazzi sent us these photos last week of two versions of this popular pattern. 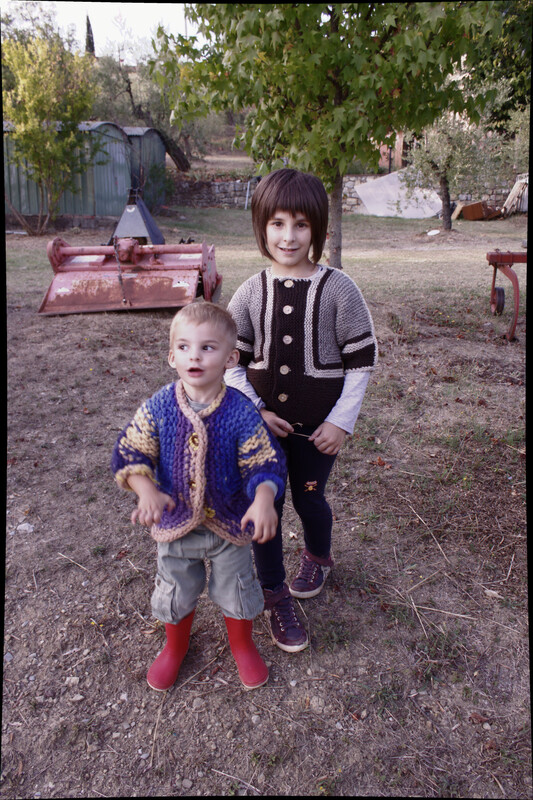 Not only does the jacket look ‘surprisingly’ different in the two different yarns, but the two sweet models have also brought their very own personal touch to each garment. Version number one was knit using Borgo’s Naturalia Degrade. The multi-coloured yarn really highlights the unique construction of this garment, as the eye is drawn in the various directions that the pattern has taken the knitter. The way the colours have worked out in this version, it looks colour blocked! 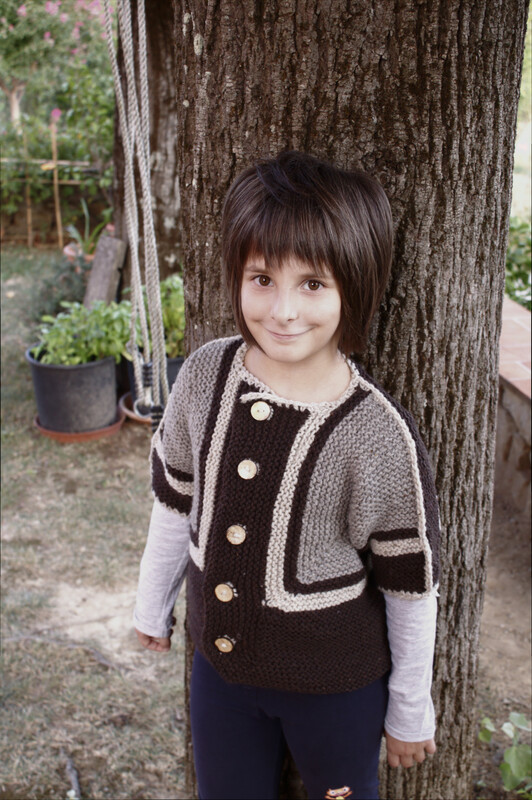 The second version of the BSJ that Chiara knit was done using the Borgo de Pazzi Cedro. See what we mean? Same pattern, different yarn, completely different end effect. This time around, Chiara used three contrasting colours, and striped them throughout, once again highlighting the unique construction of this sweater, but in an entirely different way. As mentioned up above, if you want to see the same sweater take on yet another life of it’s own- get someone else to model it! 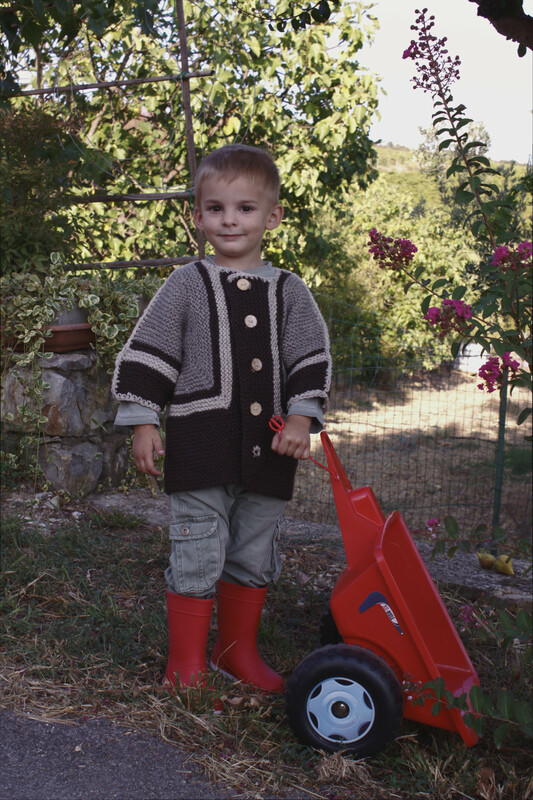 While it looks fantastic on this sweet little boy, paired with those fabulous red boots- look at it being modelled by his older sister! And what would a photo shoot be without a group shot? Thank you once again for sharing these photos with us Chiara! To view Chiara’s Ravelry project page, click here.